Temporary power is a necessity in many construction environments. 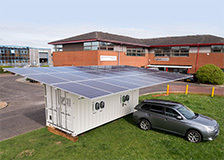 A site may need power for lighting or a welfare cabin wait before mains power is connected. 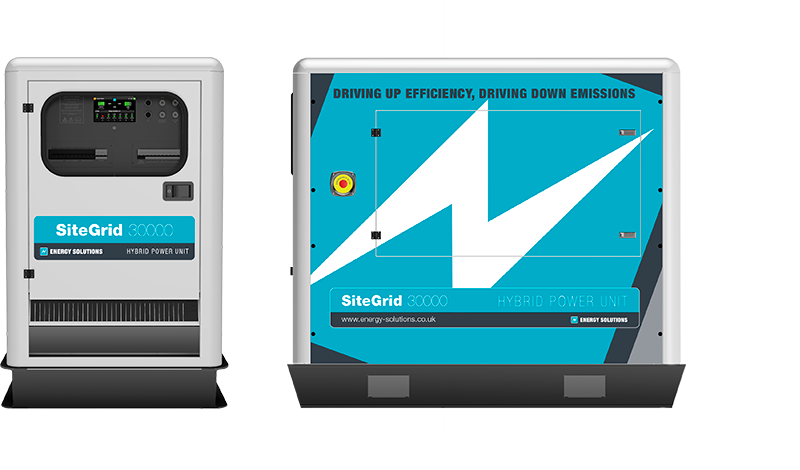 However running temporary power with a generator alone can leave companies with high costs and an unwanted carbon footprint. 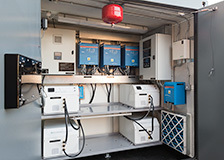 A more cost effective and environmentally sound approach is with hybrid power solutions, using generator power only when needed and focusing on silent battery power with renewables attached where possible. 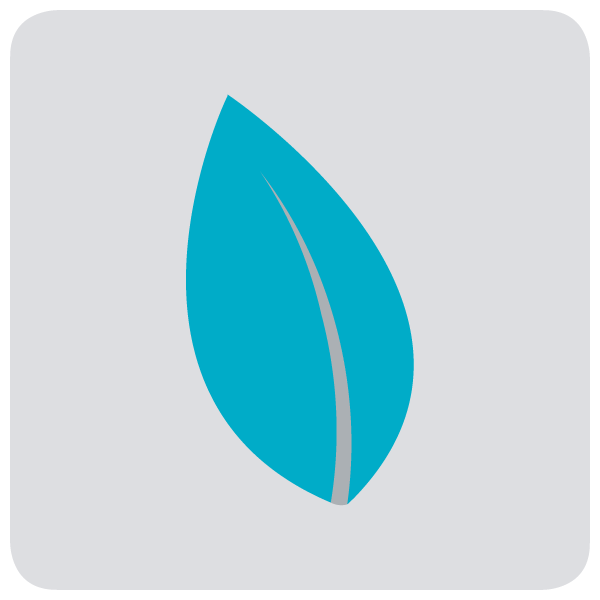 Energy Solutions provide a range of hybrid power solutions designed to drive up efficiency and drive down emissions. 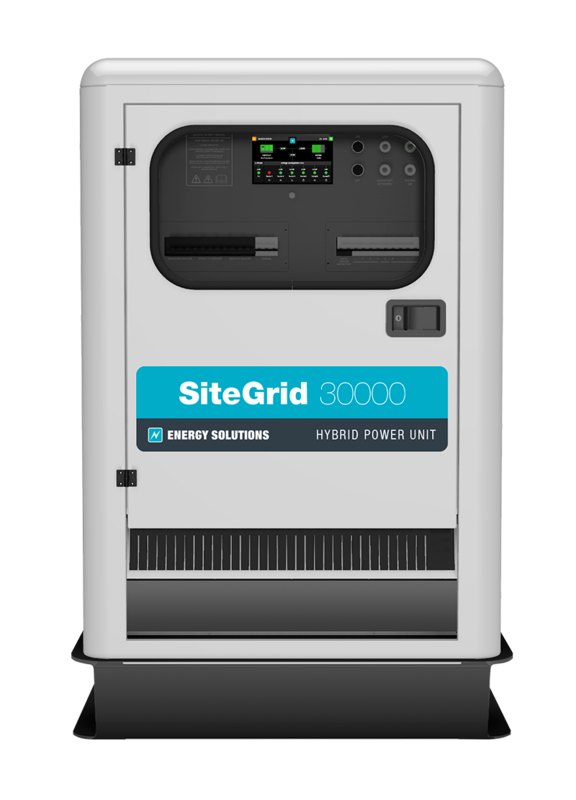 Designed and built in the UK the unit addresses the increasing market demands for quiet power (a major factor in residential areas) with economical generator use. 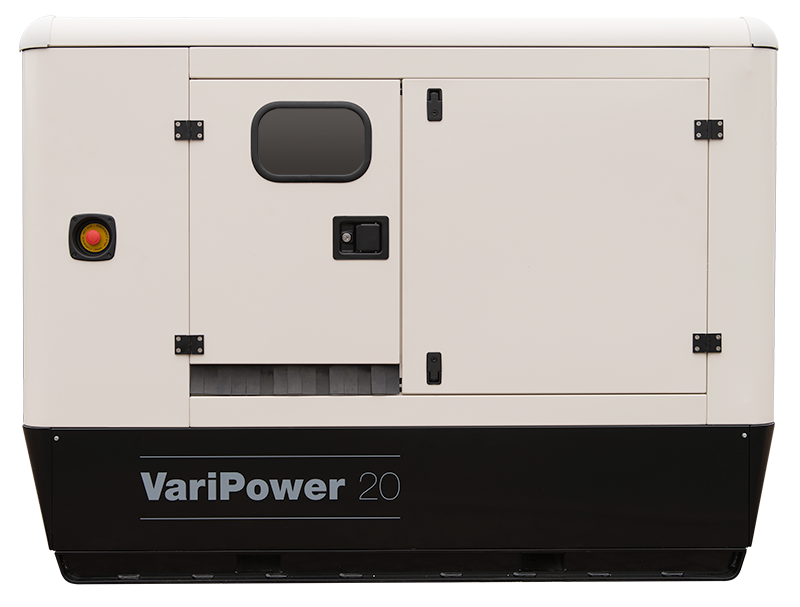 The units offer true variable power from the built in generator – it can run at any level between 900 and 2000 rpm; meaning it has two major advantages over a traditional generator. Firstly, economy - It means that if the power demand is only low the unit can run at just 900 rpm, fewer revolutions mean the generator is using less fuel and creates less noise. Secondly, longevity - the unit is not going to be worked so hard, it will only be powering at the level required, therefore increasing the interval between generator services and renewals. 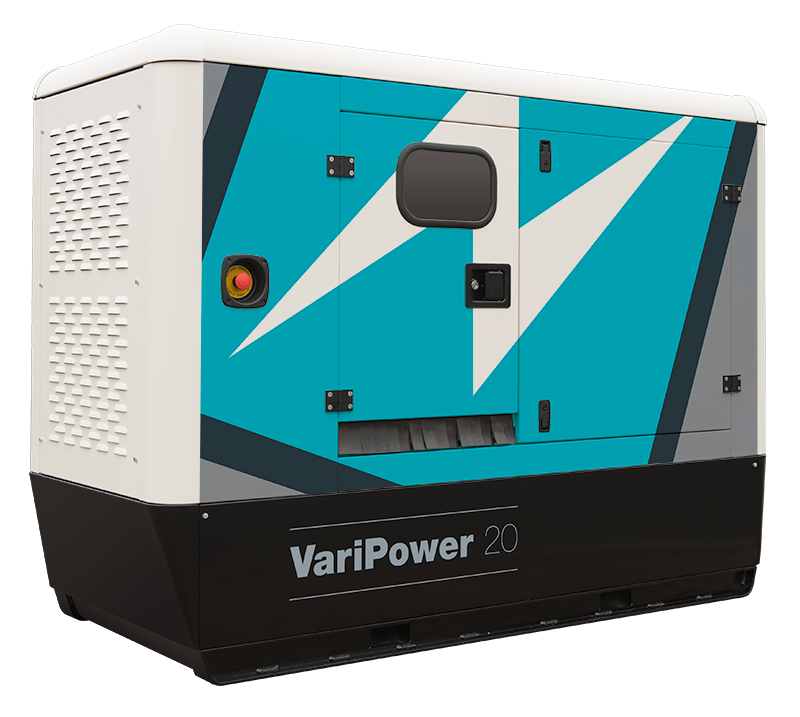 In a temporary power environment the VariPower has the ability to act intelligently without manual intervention - as power demands increase the generator will seamlessly increase its rpms to deliver the capacity needed, and reduce again as required. For periods of very low load, i.e. during the night or day when only a few loads need to run, the system will simply use the power stored in the batteries. This gives silent power when most needed. 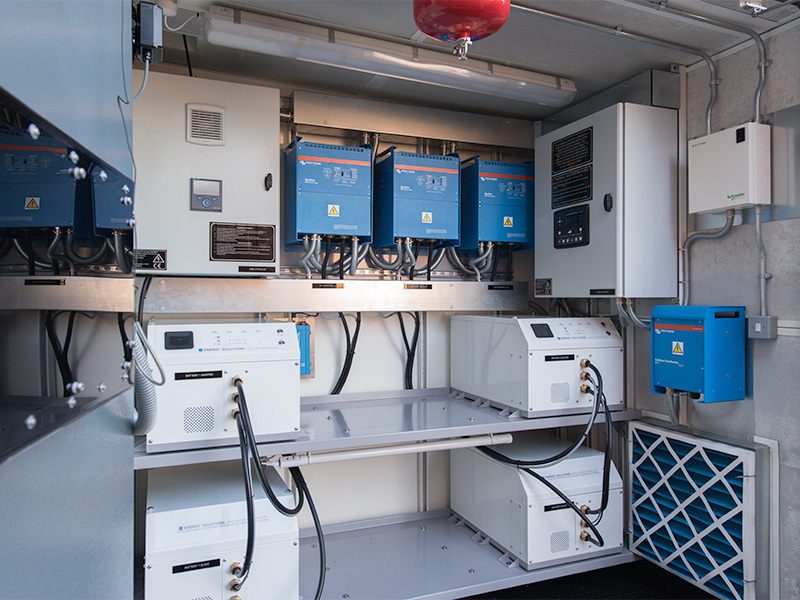 Alongside the generator is a 20kWh battery bank, either one or two 10kVA inverter/chargers and DSE Net monitoring. The system is also designed to accept renewable power such as solar directly into the system. All housed within a powered coated steel enclosure which is designed for being put outside in any conditions. Inverter charger with a continuous output meeting the system capacities above. Diesel, water cooled, 1500 RPM (or 1800 RPM for 60 Hz applications) generator (single or three phase as appropriate) in sound enclosure with autostart control system. Bunded diesel tank with mechanical and system fuel gauges. Recessed connection box for outgoing power, auxiliary connections and external controls and indications.